I often think that left overs are the best part of any big meal. Especially when it comes to a big, proper roast or weekend feast! If you plan on whipping up my Slow Roast Sticky Lamb this weekend (uh, which you should!) then this dish is perfect for your day off on Monday. So much more exciting than any sandwich, this rich, decadent ragu is going to blow your mind all over again. Serve piled on top of freshly cooked, steaming pasta and sprinkle liberally with Parmesan. 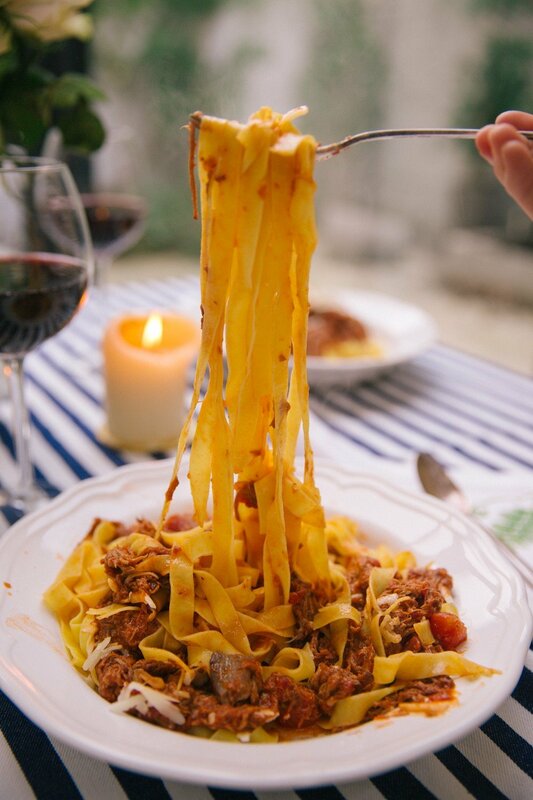 Pour yourself a glass of red, and twirl your fork through that saucy pasta! Proper comfort food. Just what you’ll need after all of this emotional lunar eclipse madness! Right. Let’s get started! Shred your leftover lamb and place to one side. The quantities for this recipe really depend on how much lamb you have left. Let’s work in handfuls and you can double as required. Pop a big saucepan onto a medium heat. Add enough oil to coat the bottom and throw in your chilli flakes to give it a nice warm flavour. Add your shallots and garlic and gently fry until soft. Once they’re nice and soft, but not brown, throw in your lamb. Toss it all about in your beautifully fragrant oil. 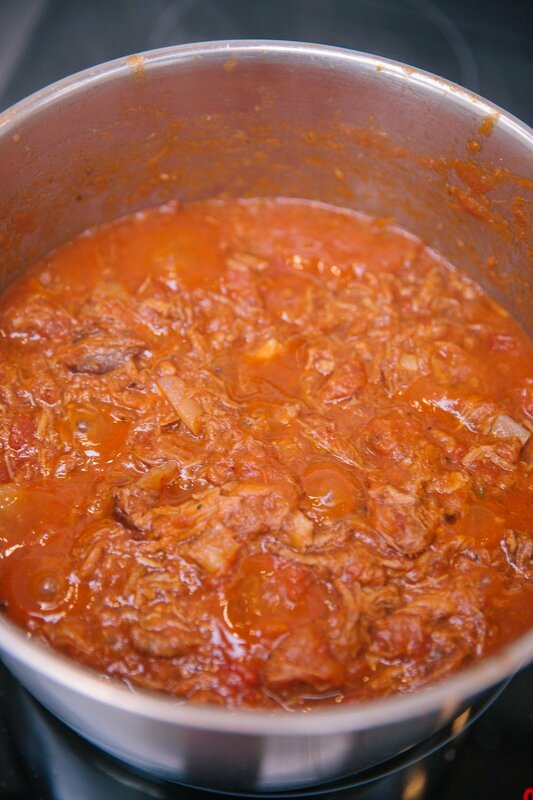 Keep stirring for a minute or two before adding your chopped tomatoes, tomato puree, honey and a pinch of salt and pepper. Give it a good stir and leave it to cook for at least 45 mins, or even an hour. Pop back to check on it now and then, stir it about. When it’s done it’ll be a lovely, deep, rich, Tuscan red colour and smell amazing. Add a sprinkle of dried oregano and stir through. Leave on a very low heat while you make your pasta. Light a few candles, pour yourself a nice drop of wine and serve with a good snowing of cheese. Twirl as much as humanly possible onto that fork of yours, and tuck in. Left overs at their very, very best!